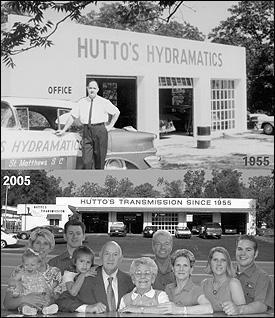 Hutto's Transmission marks 50 years as all-in-the-family business. At 24, Paul L. Hutto already knew challenges in his life. Four years earlier, in 1944, he joined the U.S. Army, where he was stationed in Germany during the latter part of World War II. In a world filled with fear, strife and uncertainty, Hutto met the love of his life, Herta Schuster, and the couple married in 1948. With the war over, Hutto returned home to St. Matthews to find another hurdle. A newlywed, Hutto searched for ways to support his wife and to start a family. Three years on his father's farm did not prove lucrative, so Hutto began the search for other opportunities. An opening for a mechanic's position with a Buick-Pontiac Dealership in 1951 and then with a Cadillac-Olds dealership instilled in the young Hutto a skill he would later utilize in opening Hutto's Hydramatic on U.S. 601 just outside St. Matthews. 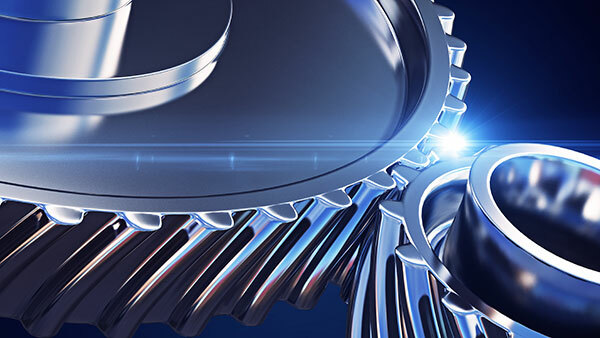 Today, the family-owned business is known as Hutto's Transmission Inc. It continues to flourish 50 years after its founding. Rick and Paula Bair, co-owners of the transmission shop, credit two things for the longevity of the business. "It is my daddy and the Lord," Paula Bair said. "Daddy always did add the Lord in all that we did. Without him, we could not continue on." And, of course, the shop's customers are priceless, said Rick Bair, who assumed management of the shop in 1975. "We thank them for their support through these years," he said. "We are here to serve our customers." The transmission service company has gone from hydramatic transmissions to four- and five-speed overdrive to computer-controlled transmissions. Through the years, the business has expanded with the addition of several stall garages, vehicle lifts and office space expansion. "Paul believed in keeping the shop clean so that you could eat off the floors," Rick Bair said, in recollection of his father-in-law. "He also wanted the customers' vehicles kept clean." Today, the business continues to truly be a family affair. The husband and wife team is joined by oldest daughter Rebekah and husband Lee Hollingsworth; and Ted Ficek (son-in-law). The provision of two mechanically inclined sons-in-law to continue the family business was an answer to a prayer, Bair said. Today, 4-year-old granddaughter Cameron and 10-month-old Caitlin already are also assuming the Hutto's Transmission legacy. The youngest is helping to hang up customer keys in the shop. Currently, the shop has eight full-time employees and four part-time employees. It is all about living up to the high standards of service yet providing a personal touch, Bair said. In the early 1980s, Hutto's Transmission entered a registered trademark (a transmission with legs sticking out) as part of its business. "Rick was playing around with some transmission cases and added pants and boots," Paula Bair recalled. "Rick set it up on a pole and people starting stopping and taking pictures of the emblem." The emblem soon found itself in an Alabama newspaper and so it was then the decision was made to trademark, Bair said. Finally in 1985 the Hutto and Bair families decided to incorporate the business and, a year later, the business added Hutto's Valued Cars. The addition allowed Hutto's Transmission to rebuild transmissions and sell the vehicles. Legal changes, however, required Hutto's to discontinue this division; but in 1987 the business purchased Masterbend Hydraulic Tube Bender. The purchase allowed Hutto's to make customized exhaust systems. As with any business, challenges have not been lacking over 50 years, Bair said. Finding qualified employees, the maintenance of competitive pricing, maintaining workmanship quality, and keeping up with changing technology are all issues to be addressed. "We have great technicians and they are willing to learn," Bair said, noting that Hutto's technicians attend training seminars annually to keep up with business changes and to better address the needs of the customer. The years also have not been without colorful moments. The recent widening work on U.S. Highway 601 threatened a historic artifact: a Royal Crown Cola sign that originally belonged to Hutto's Store. The sign had embedded itself in the trunk of an ancient oak tree. The "sign in the tree" became a spectacle of sorts for travelers. The sign was rescued before the tree was eventually cut down during the widening project.